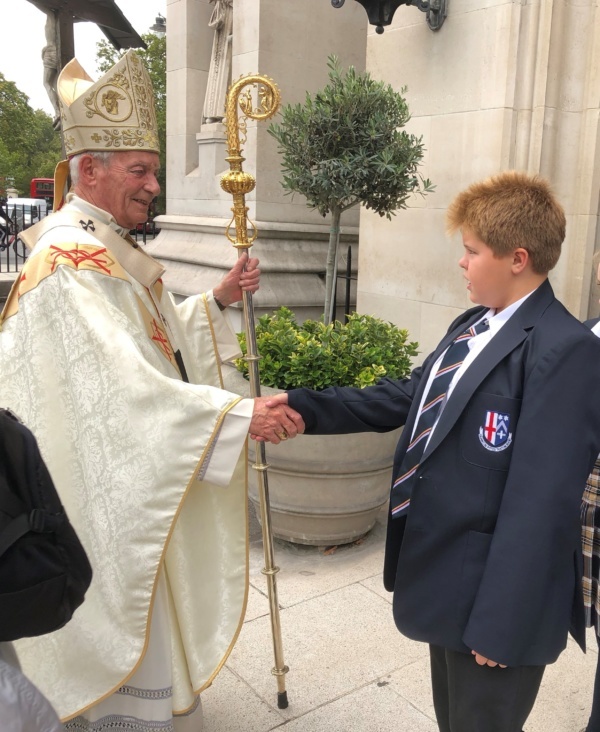 At the beginning of term, Year 7 pupils attended a special Commissioning Mass at St George’s Cathedral celebrated by Archbishop Peter Smith. During the mass Head teachers, Governors and Chaplains were invited to recommit themselves to the service of their school community. It was a powerful experience to attend this mass with many School representatives from Southwark Diocese and an important reminder that working in a school is not just a job but a vocation. In St Paul’s Letter to Titus, regarding teaching he writes. ‘In everything set them an example by doing what is good. In your teaching show integrity, seriousness and soundness of speech …’ Titus 2:7-8. We give thanks to God for our school and pray that we will always keep in mind the special vocations that we have been given as teachers and guides of the young.